What really happened that wild night? Emily knows in her bones that her father is innocent — isn’t he? Before he’s convicted, she’s got to find out the truth. Does Damon Hilary, Ashlee’s charismatic boyfriend, have the answers? Or is he only playing games with her — the kinds of games that can kill? 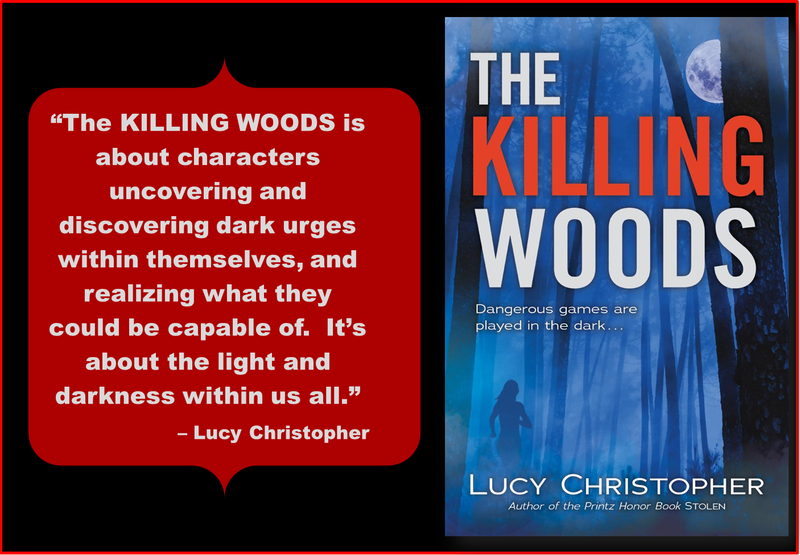 So excited to be able to offer 2 winners a copy of THE KILLING WOODS thanks to Scholastic! Hopefully really scary. So happy to see more thrillers in YA. Looks amazing to read !!! I don’t think it’s scary, probably more mysterious. Like you think it’s something but turns out to be different entirely. That’s my guess. I loved her book Stolen. I like the book and I want to read ! This looks to be amazingly chilling! I think it will be pretty scary! I hope it’s not too scary… I’m a huge chicken!!! BUT, it looks amazing, so I’m really interested in reading it. EEP! It’s not too scary, right…? Hi Jess! Thanks for the chance to win this book :) I am not exactly sure if it’ll be as scary as I’m hoping it will be, but it definitely sounds intense and captivating, and I love me a good thriller/mystery every now and then :) love the trailer, it’s pretty well done! I am keeping my fingers crossed :D Thanks again for sharing! I think it’ll be psychologically scary…which is the scariest.